The datepicker widget now has support for the Algerian Arabic, Australian and New Zealand localizations. See the 1.8.9 Upgrade Guide for a list of changes that may affect you when upgrading from 1.8.8. For full details on what’s included in this release see the 1.8.9 Changelog. Thanks to all who helped with this release, specifically: Campbell, cherif, Christoph Burgdorf, Ivan Peters, jorrit, marcos.sousa, Scott González, tobias.istvan. 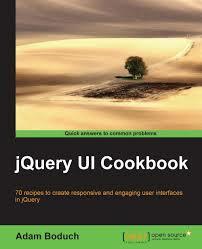 If you have feedback on us doing our ninth maintenance release for jQuery UI 1.8, feel free to leave a comment below. Thank you. The datepicker widget now has support for the Malayalam localization. See the 1.8.8 Upgrade Guide for a list of changes that may affect you when upgrading from 1.8.7. For full details on what’s included in this release see the 1.8.8 Changelog. Thanks to all who helped with this release, specifically: aaronpeterson, Alex Dovenmuehle, calvin, chyi1235, Corkup, danlash, draenor, hypnotoad, ji1337, Kevin Dalman, m4olivei, Mario Visic, mjpowersjr, Saji, Scott González, Tony Ross, urkle. 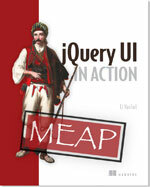 If you have feedback on us doing our eighth maintenance release for jQuery UI 1.8, feel free to leave a comment below. Thank you.